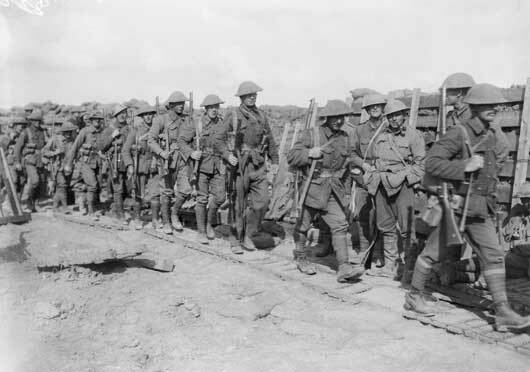 The attack on Fromelles on 19 July 1916 was the first major battle fought by Australian troops on the Western Front. It was a feint designed to prevent the Germans reinforcing their troops on the Somme, where the Allies had launched a major offensive on 1 July. The ruse, however, was unsuccessful. 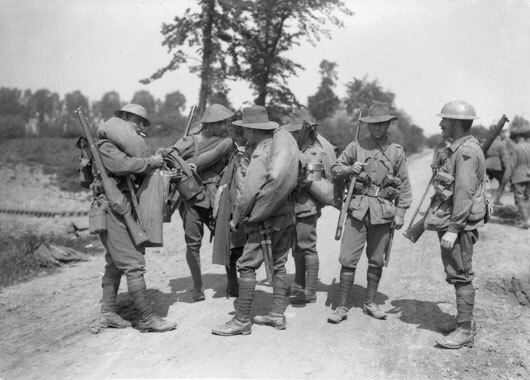 Towards the evening of 19 July 1916, the Australian 5th and British 61st Divisions attempted to seize 4000 yards of front line centred on the ‘Sugar Loaf’. However, the British bombardment, which commenced on 16 July, had warned the Germans that an attack was likely. As the troops moved into position on 19 July, they were unaware that they were being watched by German observers a mile away. 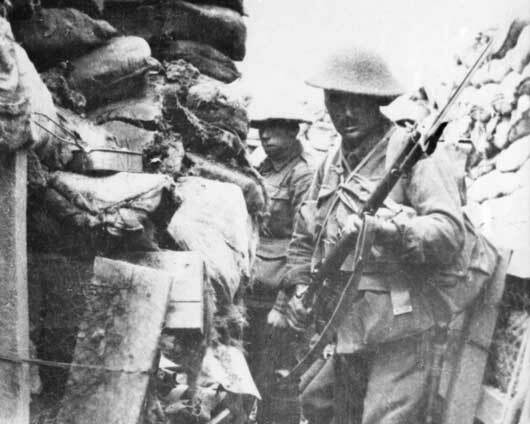 The Germans heavily shelled the assembly area and communications trenches, causing hundreds of Australian and British casualties before the attack even started. The assault began at 6 pm with three and a half hours of daylight remaining. The front line to the north of the ‘Sugar Loaf’ was on average 200 metres wide and the Australians quickly crossed no-man’s-land, seized the German front line, and then pushed on for 140 metres in search of a supposed third and last line of the German trench system. No such line existed and the Australians began forming a thin disjointed series of posts in the intended position. The next morning the Australians that had breached the enemy’s lines were forced to withdraw to their own lines. The Australians suffered 5,533 casualties in one night, the worst 24 hours in Australia’s military history. Many fell victim to German machine-guns. The Australian toll at Fromelles was equivalent to the total Australian casualties in the Boer War, Korean War and Vietnam War put together. It was a staggering disaster that had no redeeming tactical justification whatsoever. It was, in the words of a senior participant, Brigadier General H.E. “Pompey” Elliott, a “tactical abortion”. 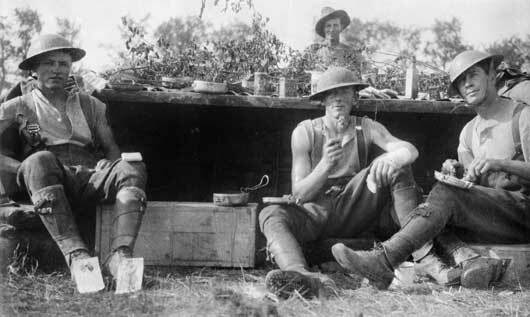 Men of the 53rd Battalion waiting to don their equipment for the attack on Fromelles (AWM A03042). A group portrait of four artillery drivers, at their shelter during the Somme offensive (AWM C00474). Brigadier General H.E. 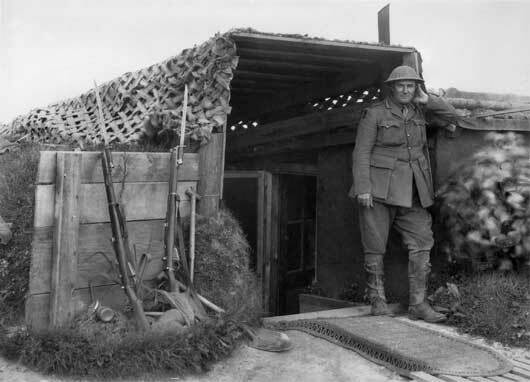 'Pompey' Elliott, standing at the door of a captured German Divisional Headquarters near Harbonnieres (AWM E02855). 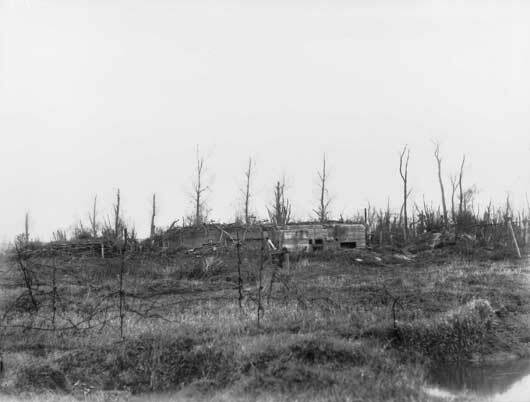 A view of the concrete blockhouses in the German third line on the Fromelles-Aubers Ridge (AWM E03969). An informal group portrait of six unidentified infantrymen of the 2nd Australian Division (AWM EZ0016). Unidentified Australian soldiers walking along a duckboard track on their way to the front line trenches in Northern France (AWM EZ0048). 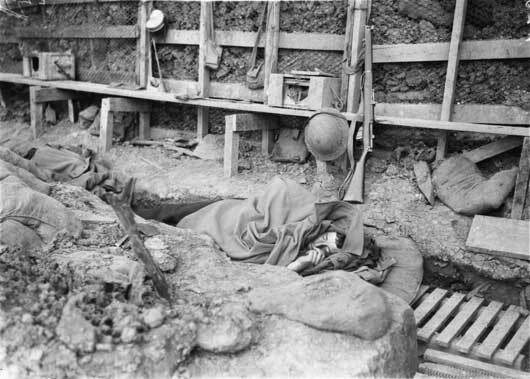 An Australian soldier sleeps wrapped in an overcoat in the trenches in the Bois Greneir sector (AWM EZ0052). 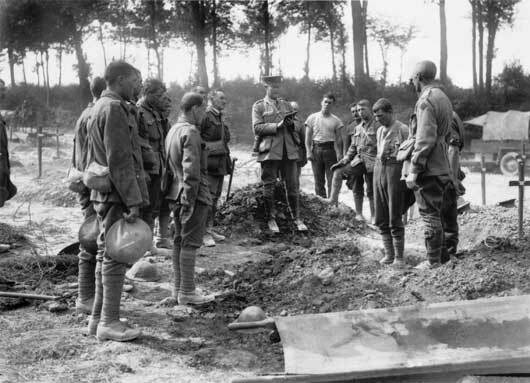 A chaplain reads the burial service beside the grave of a fallen Australian in a cemetery near a casualty clearing station (AWM EZ0064). 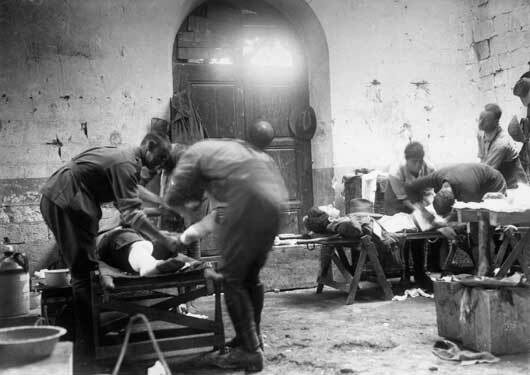 Members of the Australian Army Medical Corps dressing the wounds of Australian soldiers (AWM EZ0066). 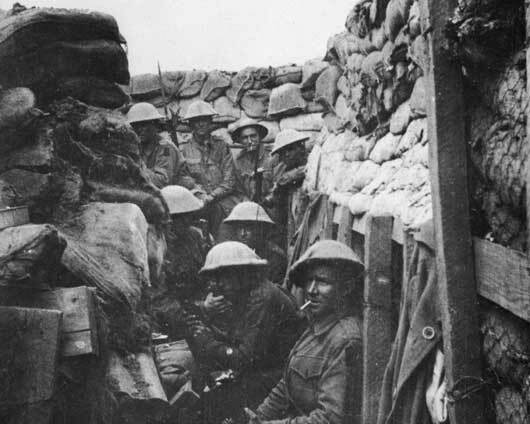 Men of the 53rd Battalion in a front line trench a few minutes before launching an attack in the Battle of Fromelles (AWM H16396).